This segment originally aired on December 21, 2016. A tour of vintage Central and South Florida is still possible—if you know where to look. 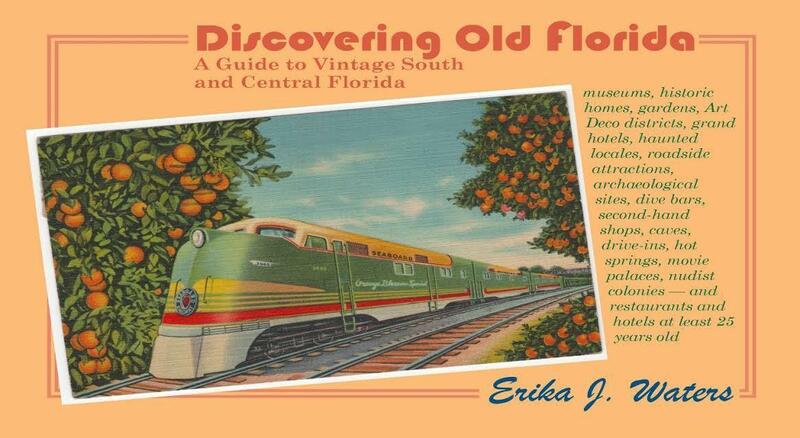 Today we listen back to a conversation about a book that promises to be your guide to "discovering old Florida," offering a list of museums, historic buildings, nudist colonies, dive bars, and more. All reaching back 25 years or more into Florida's history. Author Erika J. Waters has taught English at the University of the Virgin Islands, St. Croix, and she now spends part of the year living in Southwest Florida, where she's also taught at Florida Gulf Coast University's Renaissance Academy. Her writing has appeared in The Caribbean Writer, with the Marco Island Historical Society, and in collections of fiction and poetry.